Margarita Pool, New Gates, New Parking, New Lighting! When we started Rio Bec Dreams, we had a plan but as we began, we found that the plan had to adapt to the reality of what the climate and land would support, everything evolved. We are constantly rebuilding and adjusting everything here as the fight against the jungle reclaiming everything is constant and evolving. Together with the staff, we have been busy since April changing the look of Rio Bec Dreams as you enter and park. 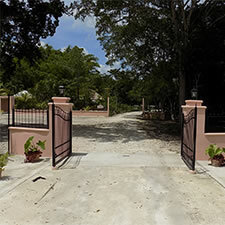 We now have beautiful locally made wrought iron gates and entrance walls to welcome you for your stay. Once in, the parking lot has a new look with new lighting and all in our favourite soft Mexican adobe/salmon colour. 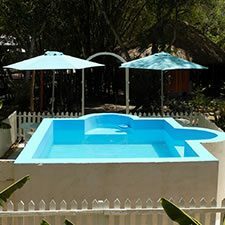 Although our land cannot support a full size swimming pool, we have built what we call a Dipping Pool or Margarita Pool for those who enjoy enjoying. 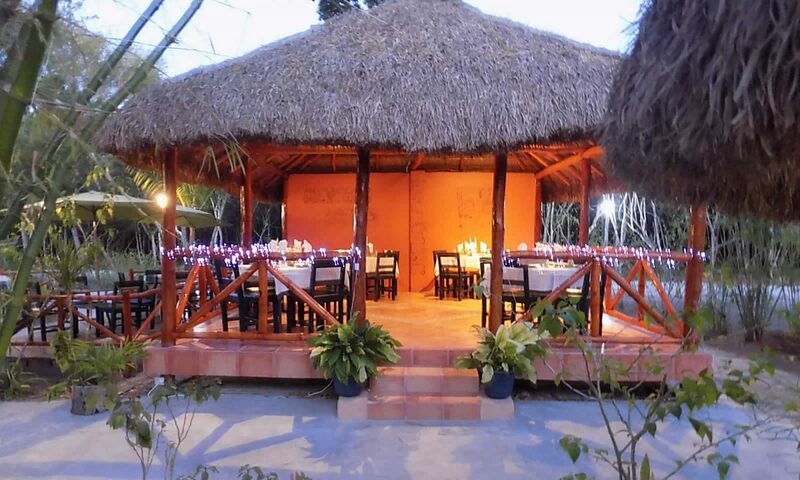 It is roughly 2.5 mts x 2.5 mts and has rounded sitting areas as you can see from the pictures. It is great for cooling down after ruins or for a pre-dinner cocktail. The kids love it too, it’s only 1.2 mts deep. In all the common areas we are switching over to LED lighting to help the environment and, wow, the new look that a different light colour can give is amazing.